Maura, originally from California, now resides near Fayetteville, Arkansas and works full time as a potter and sculptor at Terra Studios. 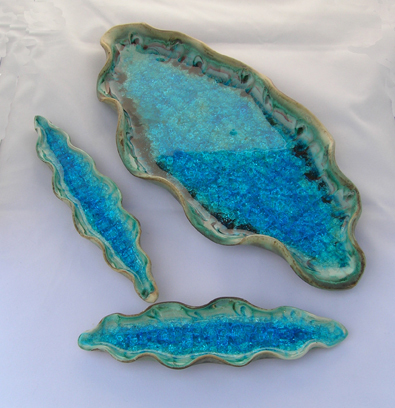 Her Passion for clay began in elementary school, when she discovered that she could dig up clay form her backyard and make “wonderful creations”. Maura obtained a B.A. in Studio Art and Cultural Anthropology form the University of California at Santa Barbara. 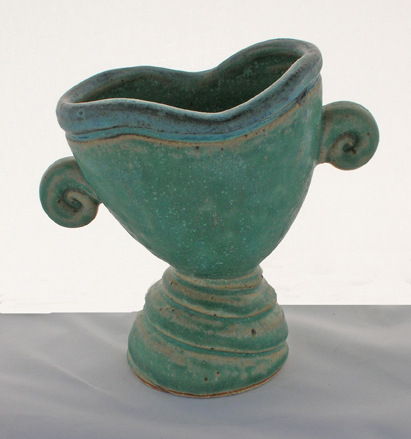 She has taken many postgraduate courses in clay at Southern Illinois University at Edwardsville. After seven years as an archeologist, working on digs in many states and some U.S. territories, Maura is now devoting herself to clay. 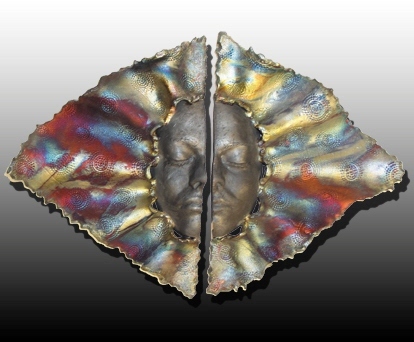 Her current works include a variety of raku masks. 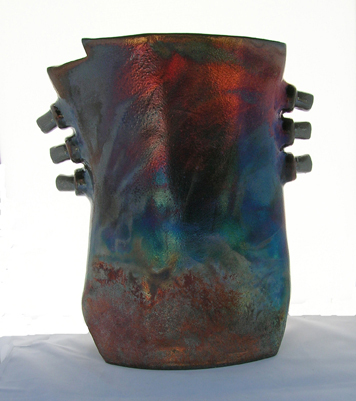 Maura also creates sculptural vessels that are often thrown on the wheel, altered, and assembled. 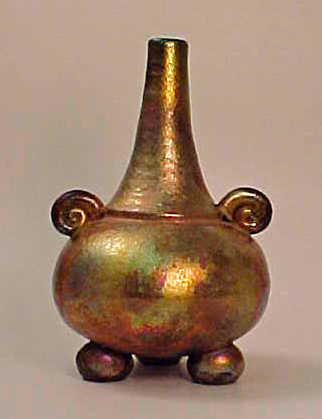 Some of these vessels are somewhat anthropomorphic, while others depict a quiet sense of grace.